Ok, back to my daughter saving these muffins. I was baking muffins for my other daughter’s Valentine’s Day breakfast, when my older daughter walked into the kitchen. 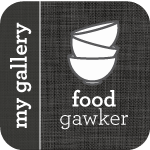 She wanted to know what I was making, and at that point I was sprinkling the streusel topping on the batter before covering the topping with more batter – and I have to admit, the topping did not look right, I couldn’t believe there was no butter. I was just about done when my daughter took the book where the recipe was – The Wooden Spoon Bread Book – and informed me that I forgot to turn the page. She was right – and there was the last ingredient – the butter. I love this book – everything I make from it comes out wonderfully – but the recipes are printed differently. Instead of listing all of the ingredients first, then giving you the instructions – it mixes everything up. So you will get a few ingredients and then instructions on what to do with those ingredients, then some more ingredients, and some more instructions. It is great – as long as you read the recipe entirely before starting – which of course I failed to do. Preheat the oven to 375 degrees. Grease a 24-cup mini mufin pan. Sift together and set aside the flour, salt and baking powder. In a mixing blowl, beat the egg and stir into the egg the sugar, oil, milk, and sifted dry ingredients in that order. Make the streusel topping by combining the flour, sugar, cinnamon and butter in a bowl. Rub the butter into the flour mixture with your fingers or cut with a pastry blender. Spoon a teaspoon of batter into each muffin cup. Sprinkle a teaspoon of topping in each cup. 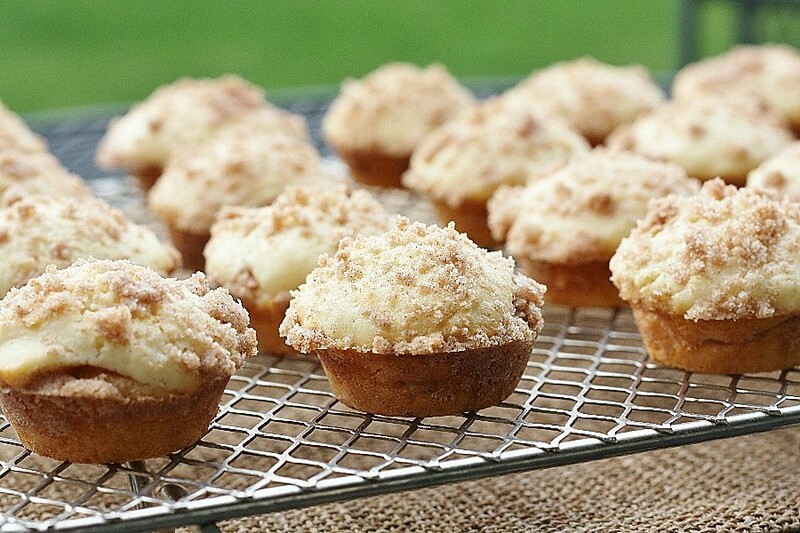 Divide the remaining batter evenly and spoon over the streusel in muffin cups. Divide the remaining streusel evenly and sprinkle over the top of the batter. Bake for 15-20 minutes, or until lightly browned. Serve warm. I can’t resist streusel topping… these look so good! Wow, that was lucky. These sound delicious.